Can Aaron Rodgers Break The Mold Of NFL Contracts? Aaron Rodgers has two years left on his contract, but he and the Packers are trying to get a new deal done this summer. As a top-shelf quarterback in a league in which substantial sums of money tend to flow toward top-shelf quarterbacks, Rodgers has more leverage than most players. 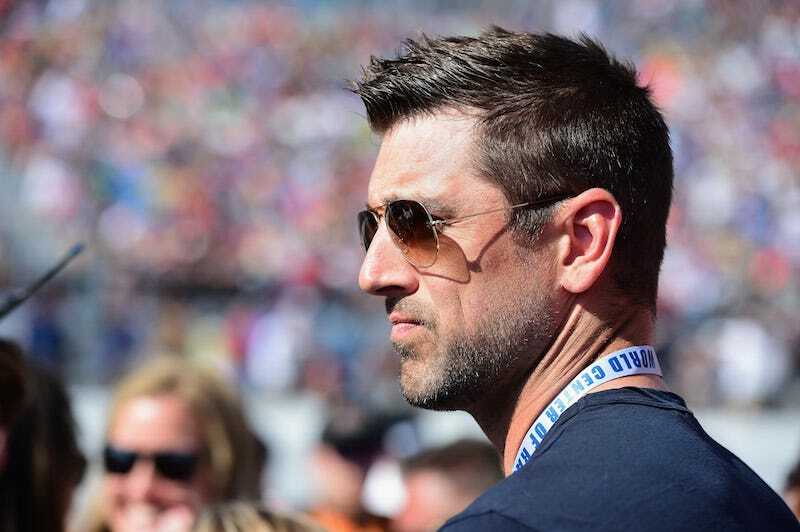 And as NFL Media’s Mike Garafolo reported a few weeks back, Rodgers is exploring the possibility of a mechanism that would allow him to opt out of a deal on his terms, NBA-style. But can he get it? Because NFL contracts typically do not have guarantees longer than one or two years, they often essentially function as a series of team options. Rodgers would seem to be one of the few NFL players with enough bargaining power to command a market-value contract that includes a player option. But it won’t be that simple—if it can happen at all—for a variety of reasons, according to several contract experts I spoke to. Under this CBA, the value of quarterback contracts has tended to rise with each successive deal. The Falcons’ Matt Ryan set the bar in early May, when he got a max of five years, $150 million with a record $94.5 million in full guarantees. Ryan opted for a more traditional structure that allowed his deal to lead the league in average annual value and total guarantees. This was in contrast to the full-on guaranteed deal Kirk Cousins got from the Vikings, which was shorter in length (three years), as fully guaranteed deals will have to be, given the way the current CBA is written. What Rodgers seeks is something altogether different. A few days after Garafolo’s initial story, NFL Media’s Ian Rapoport reported that “Rodgers wants a series of player options” baked into his deal, so as to maximize his control. That kind of structure would be unprecedented for an NFL player contract, and a number of factors will complicate Rodgers’s ability to secure that. Rodgers is under contract for 2018 and 2019, when he’s scheduled to earn $20.9 million and $21.1 million, respectively. It goes without saying that he’s underpaid. Rodgers last signed a contract extension in 2013, and it added five years to the two years that remained on his previous deal. His contract now ranks 10th among QBs in average annual value ($22 million), even as the salary cap has risen 44 percent since he signed it. Kirk Cousins, whose talent doesn’t come close to matching Rodgers’s, secured a fully guaranteed deal this offseason from the Vikings. But Cousins had significant leverage working in his favor that Rodgers doesn’t, at least at the moment. For one, Cousins had already been given the franchise tag in previous seasons, which gave him a high price point from which to begin any talks this year. For another, Cousins was an unrestricted free agent, which allowed multiple teams to bid on him, thereby driving up his price. By contrast, Rodgers’s two remaining contract years will make it difficult for him to leverage a player option right now. The Packers have no incentive to rush anything that would require them to give up future control, and they still have the option of using the franchise tag on Rodgers for two seasons after his current deal expires. As ex-agent Joel Corry wrote over at CBSSports.com, this would be expensive for Green Bay—an estimated $29.56 million in 2020 and $35.472 million in 2021—but it also would allow the Packers to retain Rodgers’s rights for up to four more years, at a total cost of $107 million. And by 2022, Rodgers will be 38 years old. More recently, Nick Foles, Tyrod Taylor, and Ryan Fitzpatrick have had automatic voids built into their deals, but those were simply ways for teams to front players their money while simultaneously spreading out the cap charges. As Corry recently noted, Chase Daniel’s new two-year deal with the Bears has an opt-out clause for 2019, but Daniel would be required to pay back $5 million if he were to exercise it. And Foles’s re-done deal with the Eagles, signed in the wake of his Super Bowl heroics, includes a team option that would pay higher salaries for 2019 through 2021, though Foles has the option of voiding that provided he pays the Eagles $2 million. J.I. Halsell, a former agent and cap analyst for Washington, explained to me that Rodgers could get an escalator worked into his next deal that could tie his annual salary to the franchise tag number, which would allow Rodgers’s compensation to keep pace with growth in both the cap and with QBs who might sign extensions after him, what with Tom Brady, Drew Brees, Russell Wilson, Ben Roethlisberger, Philip Rivers, and Marcus Mariota all having deals that likewise run through 2019. Mike Florio suggested something similar to Halsell’s idea: annual salary as a percentage of the salary cap, which would achieve a parallel outcome by using different math. But escalators like those are typically incentivized; as Corry wrote, Roethlisberger has one that’s yoked to MVPs and Super Bowl titles. This is the type of thing Halsell had in mind, too, and it made him wonder if the Packers would agree to it. Another complicating factor: The Packers typically don’t do complex deals with sizable guarantees, though they have made exceptions for Rodgers in the past. What is a “player option” in NFL parlance? NFL contracts typically aren’t fully guaranteed beyond two years. And a guarantee would be the key to any kind of NBA-style player option—otherwise, it would serve no purpose. Let’s say Rodgers got a contract with a max of five years, with two years fully guaranteed but player options in each year after that. He could, in theory, opt out after those first two years, then. But if his performance were to wane considerably, the Packers could release him without any financial consequence at that point, too. But if he were to continue to play at a high level? Why would the Packers take the risk of giving him all the control? There is, to a team, no benefit to offering player options instead of “merely” a fully guaranteed contract. If the Packers and Rodgers are to agree on a contract before the start of the 2018 season, a short-term deal is the likeliest way to go. This is where Kirk Cousins’s Vikings deal can begin to have knock-on effects. Cousins got a full guarantee, but across just three years. That shorter length will allow him to return to a more lucrative market sooner, provided he performs. “I’d think if Rodgers is looking for a ‘option’ and is steadfast on it, the Packers will simply negotiate a three-year extension,” Fitzgerald said. Rodgers and the Packers have publicly expressed positive vibes about a new deal, with team president Mark Murphy saying as recently as last week, “We hope to soon have a contract extension.” Top-flight QBs typically don’t change teams. 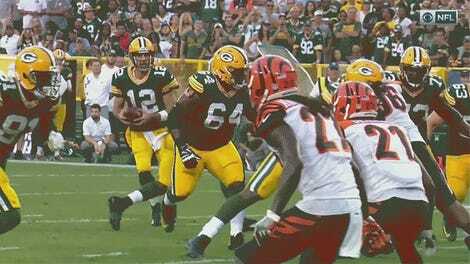 But how much hardball is Rodgers willing to play? If he balks at signing anything before the expiration of his current contract, he can then rattle the Packers’ cage by refusing to sign his franchise tender once the deal is up. If he’s still Aaron Freaking Rodgers by then, he’d have enormous leverage to insist upon just about anything he wants. But we’re still two years away from that. What Does The Future Hold For Kirk Cousins In Washington?